Dubai Museum, built in 1787, is the oldest building in the city and it was opened to show the traditional lifestyle in the emirate. At the entrance there is a fort with displays along it, then comes the main galleries. The galleries are special for its unique way of presenting the local traditions and customs from the pre-oil era: huge dioramas showing shops filled with sellers, craftsmen and buyers. Tailors, carpenters, textile vendors, all sitting along streets, accompanied by lights shows and realistic sounds bring you back in the past. 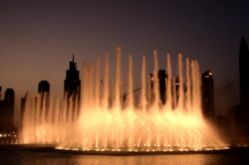 Another highlight is the Dubai Fountain, the biggest choreographed fountain system in the world, that has neither more nor less than 6600 lights, creating the most spectacular shows. These are completed by the musical background and the performances are visible from any point of the lake alley. For a good relaxation, treat yourself with luxury on Palm Islands, two artificial islands where you can find many residential, leisure and entertainment centers, all situated close to fancy private beaches. If you want to escape a little from high temperatures, go to Ski Dubai, an indoor ski resort that allows you to practice winter sports without problems. Inside the resort there is a 85 meters-high mountain usually used for skiing and snowboarding and the visitors can also experience a meeting with penguins. 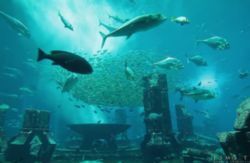 Furthermore, for the animals lovers, the Dolphinarium is a wonderful attraction, providing habitat for seals and dolphins, which can be admired by the public during their live shows. After the shows, the curious ones can interact and play with the dolphins and, for sure, the most impressed are the children. Mushrif Park is another entertainment place, with swimming pools, playgrounds, a botanic garden and an animal barn. The entrance fees are cheap and it is the perfect place to relax, to visit interesting places and even to exercise. Your vacation can be perfect if you choose the right hotel to stay in. 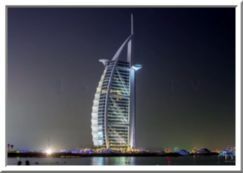 It is very well known that Dubai is the city of luxury buildings and hotels, like Jumeirah Creekside Hotel or Burj Al Arab. 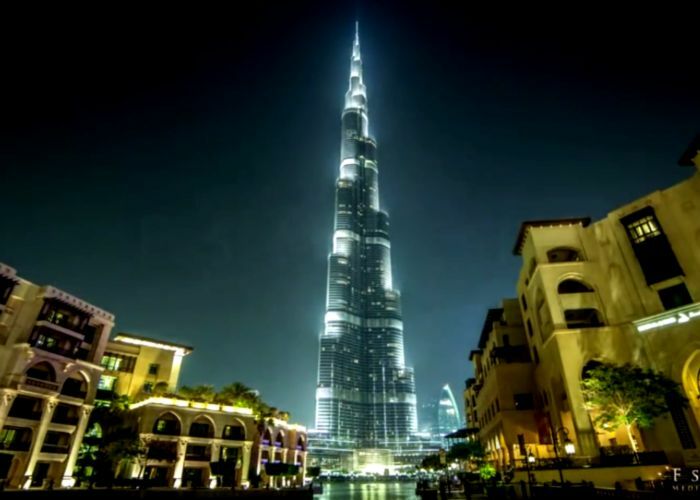 To compare prices and conditions, visit TripEconomy and consult the complete list of hotels in Dubai.